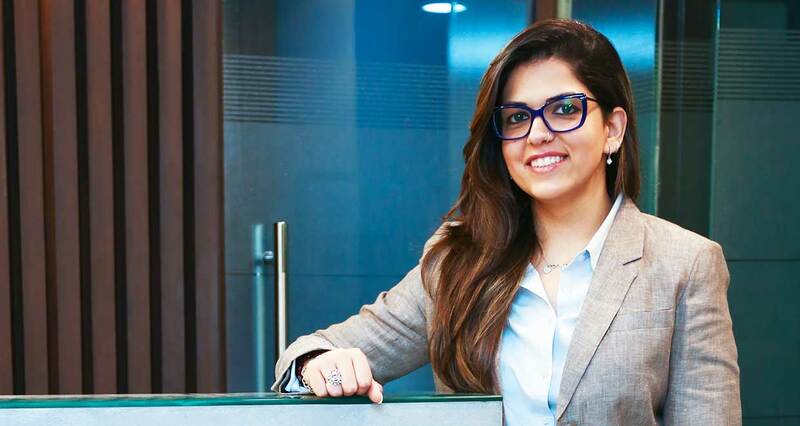 Aahna Mehrotra, the head of Sports Law at TMT Law Practice, is a member of the Delhi High Court Bar Association, International Association of Sports Law, and the ASSOCHAM Sports Council. After graduating from ILS, Pune in 2011, she has attended various prestigious institutions for varying academic laurels from an LL.M in Entertainment, Intellectual Property and Sports Law from UCLA School of Law to a Master’s Degree in Sports Law from ISDE (Instituto Superior de Derecho y Economia), where she received the Economist & Jurist Scholarship for her practical experience and academic qualifications. Her many distinguished achievements include having been chosen / selected to represent the country as a part of the National Women’s Under 19 Cricket team and her involvement in multiple sports at the state level. 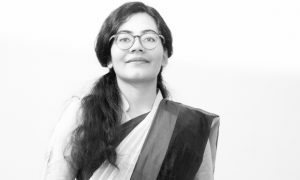 Academically, she has also co-authored “Law and Sports in India”, the second edition. A work dealing with the position of sports within the constitutional framework and recent events such as the IPL probe report, doping controversies, etc. Lawyer by choice…Writer by chance… Sports enthusiast… Stricken by wanderlust. Seeking happiness and fulfilment in every moment I live is amongst the greatest lessons I learnt from my grandfather. He held a law degree but started his career as a sports journalist, going on to become the director of the National Herald. He then moved into the arena of politics and social causes. Wearing the mantle of a trade union leader, he sought happiness in devoting himself to the cause of improving worker benefits. I particularly remember watching him return home on the shoulders of a jubilant crowd after his success in obtaining a favourable judgment in a case involving illegal termination of employment of 300 men. Young as I was, I realised how empowering it is to know the law. Perhaps that’s what drew me, at school, to his dual interests: sports and journalism. I was the editor of the School Annual Magazine – resurrecting it from a two-year oblivion and also pioneered the first School Newsletter, that then became a regular feature. I was appointed Captain of the School Cricket team at a time when the school coach had gone on leave. Coaching taught me patience. I learnt that people grow with praise, that critique works only in an environment of trust and emotional security, and that the joy of seeing others grow and score through the training I had given them was a victory sweeter than my own achievements at the wicket. Not only did I lead my school team to victory, but I was also appointed as the captain of the first ever All India Girls’ School Cricket Team and went on to being selected to play for the India Under-19 Cricket Team. My time at school culminated in a very special moment when I was awarded the trophy for ‘Selfless Service and Helpfulness’. Having completed high school, while cricket and writing seemed worthy allies, I made a choice to pursue my dream of becoming a lawyer. How was your ILS Law College, Pune experience? Having lived in a boarding school for 6 years, I was tired of living the hostel life. Therefore it was a personal choice to go to ILS over a National Law School and I have no regrets over my decision to date. At ILS, unlike national law schools, there wasn’t a routine time table that lasted from 9 to 5 or a road map to the kind of internships one must pursue. We were done at school by 11 a.m. on most days and had the choice to then plan our day in whatever manner we pleased, also our holidays which were fairly longer compared to national law schools. 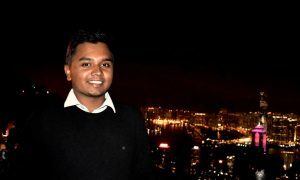 Several chose to do internships both during college days and in holidays, others spent time perfecting their skills at Moot Court competitions, I on the other hand spent my time learning about Sports Law, pursuing summer school programs and doing internships both in India and abroad. At ILS, no two students at the end of their 5 years, turn out to be exactly the same, which I feel is the case with National Law Schools, where most students do the same kind of internships, and therefore the competition on day zero is much harder. Studying at a National Law School has its own brand value and pros, while studying at ILS makes you more independent and responsible in terms of your choices. What were your areas of interest in the law? Did you engage in extra-curricular activities while in college? My areas of interest had always been intellectual property, entertainment, media and sports laws which sprung from the kind of activities I was involved in back in school. In the first year of law school, I remember walking up to my college university representative responsible for organizing the ‘Legalease’, the annual ILS Festival, and requesting for a spot in our ‘class’ (section rather) cricket team. “I hope you know they would be playing with a leather ball!”, he exclaimed. My immediate response “I was chosen to play on the India under-19 cricket team” amused him a little further. He didn’t give me a chance to play on the boys’ team but he did, in all fairness, organize a cricket match for the girls as a part of Legalease, 2006. I also played a little bit of throw ball and volley ball as and when the opportunity arose. Apart from playing sport, I participated in the Harvard Model United Nations and pursued a couple of diploma courses. What internships and voluntary practical training did you take while in law school and during your LL.M years? What value addition did they provide? Like all other law school students, I experimented with a whole bunch of internships. I worked at an NGO, at the Hon’ble Delhi High Court, with Mr. Mukul Rohatgi at the Hon’ble Supreme Court of India, with a barrister specializing in criminal law in London and also at a law firm in Delhi during my first 3 years of law school. I learnt a lot during my law firm internship, as I was given the opportunity to interact with some clients, prepare my first cease and desist notice for a trademark infringement, work on matters involving sports persons, and realised that it was what I enjoyed most and not litigation. It also helped to further develop my interest in intellectual property and related areas. I then just stuck with law firm internships and interned at TMT Law Practice twice, after which they made me a pre-placement offer. It always helps to get a job offer, if you go back to an office for a second time to intern, as they are able to gauge your ability and progress better. Also, I chose to intern at a boutique law firm so that I could make a more marked and personal contribution during my internships, instead of being lost at a large law firm. 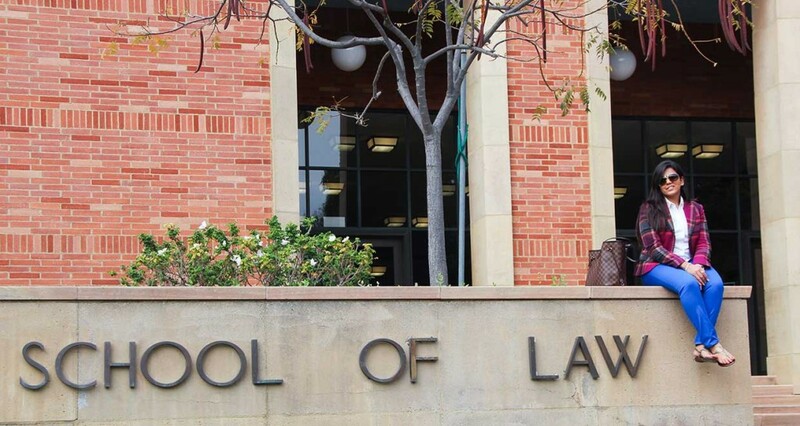 You pursued an LL.M from UCLA in entertainment, IP and Sports Law. Tell us about the LL.M course you took, how did you apply for it and what was life at UCLA like? An LL.M application is all about your Statement of Purpose (SOP) and they give little weightage to your grades or C.V., is what I learnt from personal experience. I applied for an LL.M while in law school to about 8 law schools in the States. It was a decision taken overnight and I did not think the SOPs through. Having been a creative writer in school, I took it all for granted and drafted my SOPs in one night and sent in my applications in December 2010. I was rejected by all 8 law schools. I pondered over the rejection, re-read my SOPs, and realised that they made no sense as they were a bunch of disconnected paras put together to comply with the word limit. I took the same drafts, and re-worked the structuring and choice of words and then re-applied in October, 2011. By the summer of 2012, I was spoilt for choice with an admission to all 8 law schools, some even willing to offer me scholarships. I had an admission to Duke University, a T-14 law school, and had even paid up the advance to block a seat and done my visa formalities when I heard from UCLA. It was the toughest decision to make, a ‘T-14 Law School’ versus the top school for entertainment law. I tried to choose the best of both worlds. While I chose to disregard the overall rankings and went with the rankings for subjects of my interest and gave importance to professors like Nimmer in picking UCLA for an LL.M., I pursued a summer school course with Duke Law School, a program run by them at the University of Geneva which gives you the opportunity to do up to 6 credits of course work. I studied sports law at the summer school offered by Duke, and then joined UCLA for my LL.M. UCLA gives you the opportunity to do 4 credits worth of practical training as a part of their LL.M. This, in my opinion, is what sets UCLA apart from other law schools and gives its students an edge over the others. Once made aware of this opportunity, I sat for campus placements and secured an internship at Warner Bros. Intellectual Property Dept. If there was the slightest doubt in my head about having left Duke for UCLA, I knew at that point for sure, that UCLA had been the best decision I made. As far as leisure activities go, all law schools in the States have a concept called the ‘Bar Review’. It has nothing to do with the American Bar Association, it is a concept wherein on every Thursday night you go review / check out a bar / club in town for drinks. Los Angeles being famous for its night life, I don’t remember ever having to repeat a bar. How did your interest in these fields develop? I constantly missed playing regular cricket through my years at law school. There weren’t too many opportunities available in Pune for women. In fact, I momentarily contemplated moving to GLC as Mumbai had a lot more to offer in terms of women’s cricket. In fact, women’s cricket only came under the auspices of BCCI in 2006, the year I had left playing cricket and started law school. My juniors from school often called and narrated stories of their experiences at Ranji, from a time when we would fund our own travel to them finally being paid Rs. 5000/- for a match. I felt really happy for them and I knew then that true happiness for me lay in uniting both my vocation (law) and passion (sports and writing). While I had lost my touch on the field due to lack of practice, I made a conscious decision to specialize in Intellectual Property and related fields like Entertainment, Media and Sports Law and in some way remain connected to Sport. As a writer, of course, you must always be well-versed with copyright law. I always enjoyed music, it was my only other stress buster apart from sport, so I studied Music Laws at UCLA, apart from entertainment, intellectual property and sports laws. I learnt about the dying music industry and the effects of piracy. In fact, the Intellectual Property heads at Warner Bros. even gave me the opportunity to work at the Anti-Piracy dept. for a few days, which has led to me not downloading a single song or movie illegally in the last 3 years. So my interest in the kind of law I practice has pretty much sprung from my hobbies and that’s why I love what I do for a living. Could you explain to our readers the interrelation between entertainment, IP and Sports Law? What is sports law? It, apart from sports specific laws like anti-doping laws and sport specific regulations, involves all laws that effect a sports person or sports league – be it contract law, labour law or intellectual property for that matter. You cannot take away from sports leagues and sports persons trademark rights, brand value, broadcasting rights and other rights like that of privacy and publicity. For any sports league to be a success, you must get into a broadcasting rights deal with the right network provider, have some good sponsorships on board, have the player assign their image rights to the league and team owners and prevent any form of trademark infringement to protect the brand from getting diluted. Players today are filing for trademarks like the ‘eleven of hearts’ by Gareth Bale or the ‘Lightning Bolt’ pose by Usain Bolt. So sports, intellectual property and entertainment are entwined fields and there exists a constant overlap. What is an executive LL.M and what motivated the decision to pursue one on Sports Law Instituto Superior de Derecho y Economia? Tell us about the experience and what you learnt from it. An executive LL.M. is a Master’s program which is pursued as a distance learning course by professionals and does not require you to be present in the same city through the year. While I gained a fair amount in areas related to intellectual property from my year at UCLA, unfortunately I did not learn as much about Sports that are relevant to the Indian market. Therefore, I decided to pursue a second LL.M from a school in Europe. ISDE gave me the opportunity to interact with some of the best sports lawyers in the world in the form of professors as well as network with sports lawyers from all over the globe in the form of classmates. Sports being an international activity and with the advent of so many leagues in India, more often than not, one lands up with matters that involve athletes from other countries, so it is always advantageous to have a rapport with attorneys in other countries. 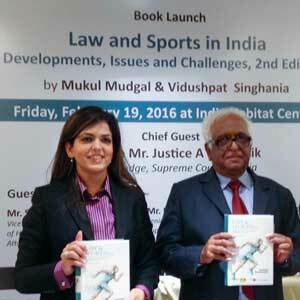 You have taken your interest in the field to the next level by assisting Justice Mukul Mudgal in jointly writing the second edition of the book ‘Law and Sports in India’. Tell us about your experience of working with him on the book. Justice Mudgal is by far one of the kindest human beings I have come in contact with in the legal profession. He is forever happy to see those working under him grow and provides constant support in any endeavour you choose to pursue. Since I did not work on the first edition, it wasn’t easy to immediately start drafting or adopt someone else’s style of writing but Justice Mudgal was patient through the process. At the same time, as most of the developments in Sports law in India have only taken place in the last 5 years, it was as good as writing a new book. I worked with him on drafting 8 chapters of the book. These were (i) an overview of the sports scenario today, (ii) gender discrimination, (iii) anti-doping, (iv) sports as a business, (v) labour laws, (vi) violence in sports, (vii) sports dispute resolution and (viii) grey areas. 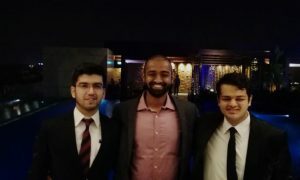 I had a huge support system in the interns who researched untiringly on some of the most unheard of issues related to the sporting scenario in India. I learnt so much from them as well, like I didn’t know there was a concept called flip-throw that existed or that a suggestion to bring an orange card into play was being made in the football arena. I learnt so much about the intricacies of sports law as we drafted chapter after chapter. With an LL.M in progress, pressure from the publisher to adhere to the timeline and sometimes technology betraying me with an entire chapter getting wiped out just when I was done drafting it, I often did 5 a.m. mornings and eagerly looked forward to the day we would be done drafting. The end result was worth it all. It has been a privilege to work with Justice Mudgal, who feels so strongly about eradicating the malpractices in the sports industry in India, and a great honour to have worked on what has been termed as a ‘monumental work’ and an ‘encyclopaedia’ by Mr. Soli Sorabjee. Which new areas can one expect to explore in Sports Law, apart from player contracts, anti-doping or sponsorship related work? Why is this an area of law more people can choose to specialize in? With the advent of several leagues, many international athletes are now looking at the Indian market as an avenue so there is a lot of player transfer related work, especially in football. Apart from that, with image rights becoming a popular concept world-wide, a lot of Indian players are looking to protect their rights relating to both privacy and publicity. Scandals like match-fixing give you the opportunity to work on matters that may fall under criminal law. Things like gender-discrimination and the increase in punishment under the new anti-doping code have given rise to human rights and constitutional issues in sports. A lot of broadcasters are looking to either terminate existing contracts due to the leagues not doing well or vice versa – league owners that feel that they have not made the right choice in terms of broadcasters are looking to terminate their contracts and sign new agreements. Taxation issues and labour laws too are areas that have growing issues related to sports. More and more sports management companies seem to want to hire specialists in sports law to form an integral part of their team. As the sports industry in India continues to grow, so do the issues relating to the field, and so does the legal work. A lot of sports leagues are mushrooming in India at the moment. What legal challenges do they face and how viable are these leagues in the long run? Along with Mr. Kaushik Moitra, (Partner, TMT Law Practice) the Indian Badminton League in 2013, was the first sports league I worked on. The league failed due to several reasons like mismanagement at venues, lack of staff, the appointed media agency not being proactive, VIPs demanding free tickets and special treatment, state associations not cooperating with the national associations, travel and accommodation being impractical, no itemised budget and being unprofessionalism on the whole. These are some of the most common challenges that are faced at the time of running a league, especially the first season, so all league owners must learn from the IBL 2013 and not make similar mistakes. As for viability, it is something that can only be determined in due course of time. The Masters Champions League held in Dubai recently failed to pick up numbers in its first season even though the concept looks very promising. The MCL organizers are hoping that the current cricketers will look at it as an avenue post retirement, so when a Dhoni joins the league on retirement, automatically the numbers will go up, however this again is mere speculation and the question is whether or not they can sustain the league until a Dhoni joins. The Kabaddi League on the other hand did unexpectedly well in the very first season, the ISL picked up a lot of momentum in the second season, so there is no fixed formula for the success of a league. You were an integral part of Ludus Legal, one half of which has now been absorbed by TMT Law Practice. What does the shift mean for you and how does such a shift impact the clients? It has always been a very enriching experience to be working under Mr. Abhishek Malhotra (Managing Partner, TMT Law Practice). He is someone who has constantly encouraged me to pursue my academic interests apart from doing just legal work for my clients. In fact I remember when I started out with TMT Law Practice, immediately after law school, we had a concept of internal presentation of papers. Every alternate Saturday, an associate would present a paper on a new topic and we would then sit and discuss the issue. It always helped in learning something, increasing our industry knowledge and growing as a lawyer and that is why I was more than willing to join them back, when the opportunity arose. Like I said above, it is very hard for sports to survive without intellectual property and related areas. TMT Law Practice is a boutique Technology, Media and Telecommunication law firm which can better cater to the needs of a client. The clients only benefit from this shift, as they now have a full service law firm that caters not only to their sports law needs but also offers to them specialists in the intellectual property and media industry. At Ludus, we would often use the services of TMT Law Practice, to file Trademarks for our clients and use Mr. Anish Dayal and Mr. Nitin Mishra as counsels to argue our litigation matters. Now it can all be done hassle free under one roof. Tell us about the kind of work profile you handle every day. What are the challenges you face and what do you like most about the job. On a daily basis, I handle a whole lot of agreements covering different aspects of sports law. I often participate in negotiations between league owners and sports bodies or players and league owners. However, what is really challenging is when an athlete comes to me for help in a doping case. On most occasions, the consumption of the banned substance is inadvertent, as the athletes come from humble backgrounds and have not been educated about how a banned substance may enter their body. They start training at an extremely young age hoping to make it to the commonwealth games or Olympics one day and maybe win that one medal, which will not only make the entire country proud but also give them a source of livelihood but just when they are about to make it, they get caught for a doping charge against them. With the new code having increased the punishment to four years, which is as good as resulting in the end of an athlete’s career, there is a lot of pressure to have the punishment of an athlete reduced. You sometimes succeed and you feel on top of the world but there are occasions you fail to get a reduction in the punishment which then tends to take a toll on you as you feel responsible for a sports person’s career coming to an end. Finally, what would be your parting advice to our readers? Trust your gut, don’t be a part of the rat-race and its okay to sometimes not go by the book.